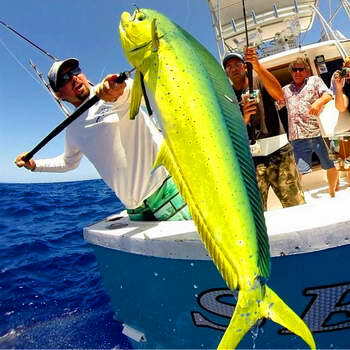 Create the ultimate experience off the shore of Waikiki on the luxury fishing charter named Tortuga. 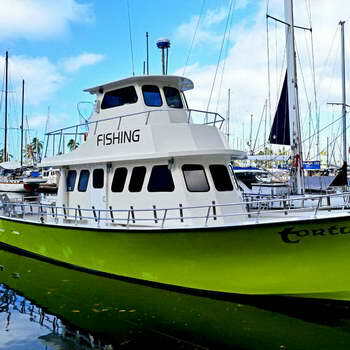 See Waikiki from the ONLY 49 passenger fishing boat to set sail out of Waikiki. We are located steps from the Modern Hotel and right across from Chart House. Go party fishing, bottom fishing, or private charter by yourself or with 48 friends. Relax in our air-conditioned cabin on our 50 foot Chesapeake while enjoying beverages and snacks for purchase. We welcome you to bring your own alcohol and food while catching fish like the Uku, Uhu, Opakapaka, and Onaga. 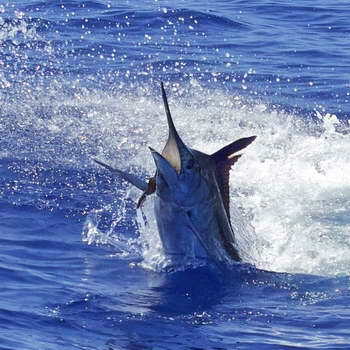 Our friendly staff will assist you on your adventure whether it is your first time or you are a seasoned fisherman. Make this a memory for the whole family or create an exclusive experience by reserving a private charter. 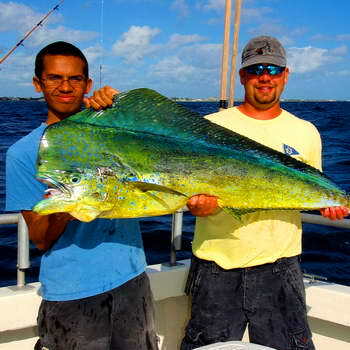 We are unique from other fishing charters because we let you keep what you catch! A DVD of your experience will be available for purchase.